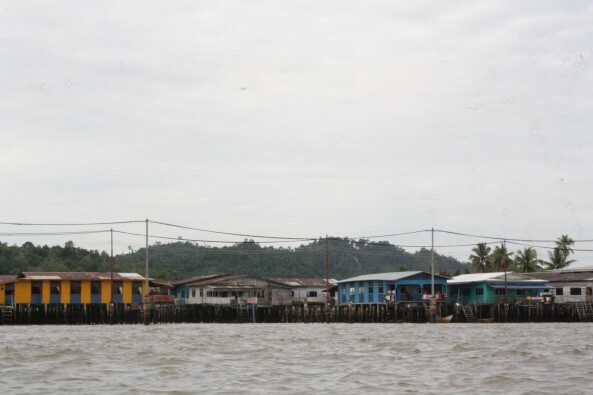 This is Kampong Ayer – a village built on stilts. 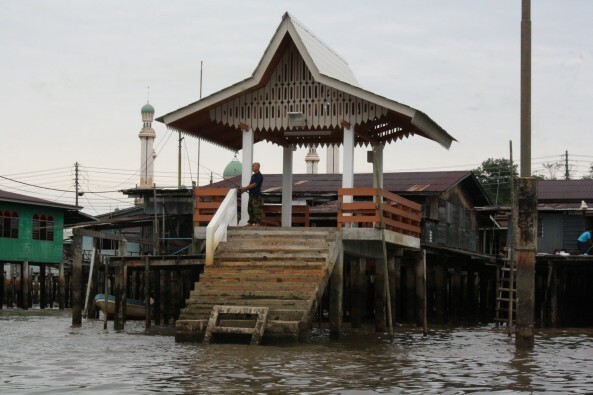 This is where one gets to see the actual life of traditional Bruneians. The village has been here for centuries. I never knew about this place until I got to Yayasan Shopping Complex. The shopping complex is walking distance from Brunei Youth Hostel. Since most of the establishments are not yet open when I got there, I tried to walk around and got curious that there is a river at the back of the shopping complex. What made me more curious is the fact that it seems as though I am looking at shanties and slum areas. It really is. This is the other side of the very rich country. I asked the people around how do I get there and what do I see, I was told that I need to rent a river taxi to get there and observe local life. I really don’t have any idea how much it actually cost for a an hour river taxi tour but I grabbed the B$50 offer. It was after my 1 hour tour that I learned that the normal fare is B$10. 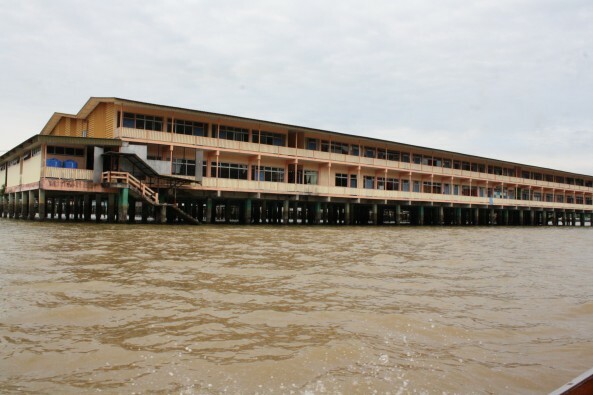 Anyway, during the river tour, I was able to see how locals live in stilts. They have their own mosque, schools, hospitals, public market, playgrounds, police stations, fire stations and lot more all built on stilts. And what made me wonder even more? There were passage ways for cars! I was told that people living here are the less fortunate Bruneians. But then again, they are not really less fortunate because they have cable televisions, airconditioned houses, internet connections, telephones and cars which they park at the entrance of Kampong Ayer! Interesting. 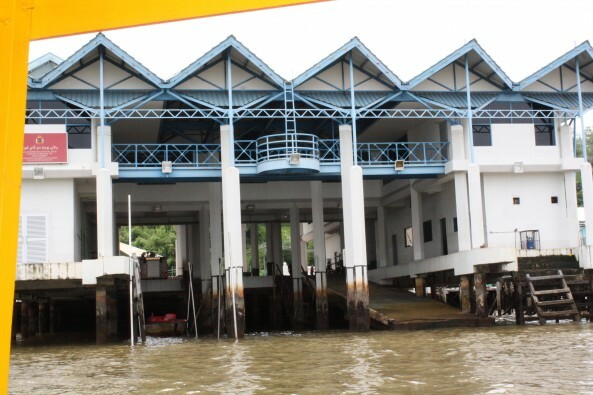 Apart from that, the river taxi ride is an adventure in itself – noisy engines and very fast cruising as if I am in a super speed boat. I did not go as far as to see the pink-nosed monkeys. 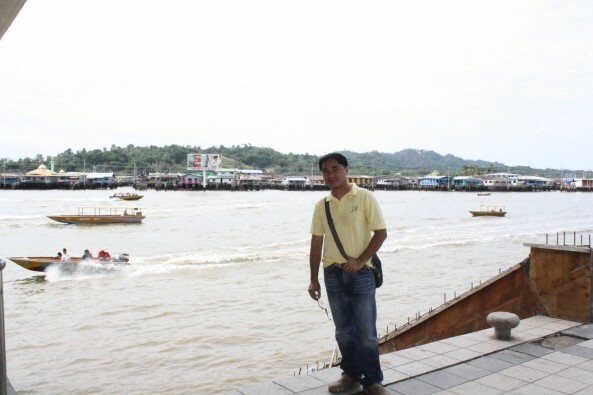 To date, the government is concern on preserving Kampong Ayer and improving more the lives of the people there. 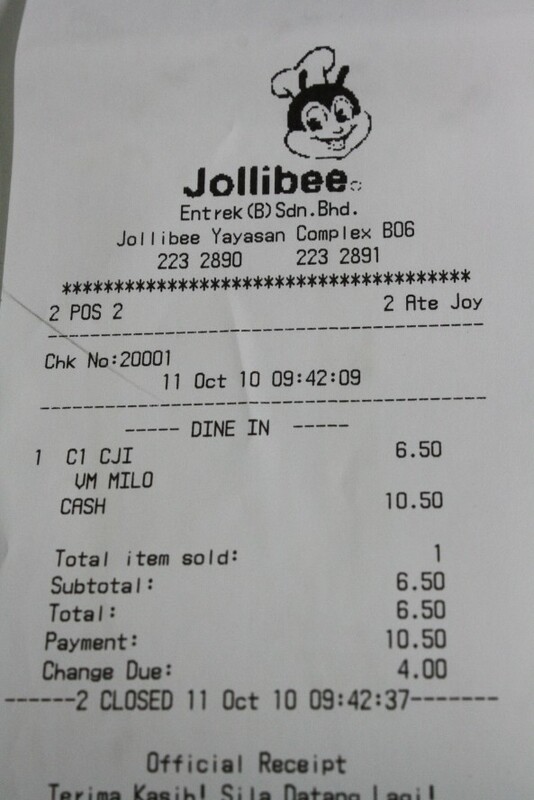 After my river taxi tour, I had my first Jollibee chicken meal outside the Philippines. thank you. i hope you can visit brunei soon! Hithks for the info, how can i contact them? any email or phone nuembr thati can call them? do u know any local guide that can take us round KT? I was in Brunei last October, too! While I don’t want to offend any Bruneians, it’s true that the country needs more exciting spots for it to be a must-visit. I didn’t even go on a boat ride to this water village (kasi naman andami nito sa Davao [my hometown])! But the GOLD! All the gold! Were you also able to go to the Jame’Asr Hassanil Bolkiah Mosque? That was majestic!